The story originally stated that Freehold Raceway and Monmouth Park are in Ocean County. Both are in Monmouth County. NJGS regrets the error. Freehold Raceway did not make it out of the NJ sports betting starting gates in 2018. It’s looking like this year is going to be a different story. The partnerships and launch date for online and retail sports betting remain a mystery, but based on a recent Associated Press story, serious discussions are well underway. The racetrack, located in Central New Jersey, is co-owned by Penn National Gaming and Greenwood Racing. Chris McErlean, a vice president with Penn National Gaming, addressed the plans. We reached out to Penn National for additional details about the sports betting plans, but the company had nothing new to report. The racetrack already has its sports betting license from the state racing commision. Freehold would still need to obtain one from the New Jersey Division of Gaming Enforcement. A temporary retail sportsbook space would need to be built as well. Freehold Raceway going live with retail and online wagering would mean New Jersey’s three active racetracks are all in the sports betting game. Nearby Monmouth Park and the Meadowlands Racetrack in East Rutherford are well-established at this point in the game. The Monmouth Park Sports Book by William Hill accepted the first legal bet in New Jersey sports betting history on June 14. SugarHouse Sportsbook, William Hill NJ, and TheScore have land-based partnerships in place to offer mobile/online gambling. 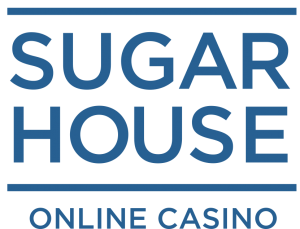 SugarHouse, for its part, joined with Monmouth only recently in order to offer NBA bets. The FanDuel Sportsbook at the Meadowlands launched July 14. The FanDuel sports betting app followed on Sept. 1. PointsBet, based out of Australia, has a land-based partnership with the Meadowlands as well. The sports betting platform had a soft launch on Dec. 11. However, the delayed start doesn’t seem to be a major concern. Freehold and Monmouth Park are both located in Monmouth County. The racetracks are about 20 miles apart, or a 30-minute drive. For November, according to figures released by the DGE, Monmouth collected $2,679,395 in sports betting revenue. 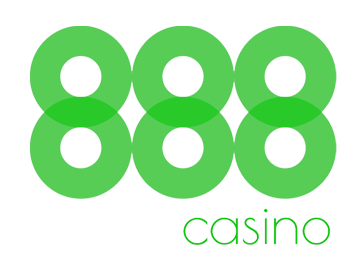 The number is a combination of the William Hill sportsbook app along with the retail operation. Freehold Raceway itself is located walking distance from the Freehold Raceway Mall, one of the busiest and most popular in the Garden State. With such a strong competitor nearby and one with months of practice and promotions under its belt, time will tell how much of an impact the two sportsbooks will have on each other. Over in Pennsylvania, Hollywood Casino at Penn National Racecourse launched its retail sportsbook on Nov. 17. It was the first Pennsylvania-based casino to permit sports betting in the Keystone State. The deal includes a partnership with William Hill, just like the one at Monmouth. Mobile sports betting is expected to follow soon, possibly as soon as the first quarter of this year. Meanwhile, Parx, owned by Greenwood Gaming and Entertainment, is in the final stages of launching its retail sportsbook. There was speculation that the property located in the Philadelphia suburbs would open the space in December. The company partnered with Kambi, a European-based company that operates sportsbooks around the globe. In New Jersey, Kambi has a hand in the industry-leading DraftKings Sportsbook, as well as SugarHouse and 888 Sport. The owners of Freehold Raceway could decide to extend these existing partnerships. There also could be mystery partners behind door No. 2. Looking into that 2019 crystal ball, the only thing that seems to be close to a sure thing is that Freehold Raceway will be adding sports betting soon. 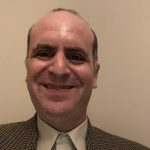 Bill Gelman is a veteran sports writer based just outside of Philadelphia and not too far from the Jersey Shore. Bill spends time in Atlantic City writing about casino openings and expansions, special events and world championship boxing at Boardwalk Hall. He is now adding NJ sports betting and online gambling to the mix.